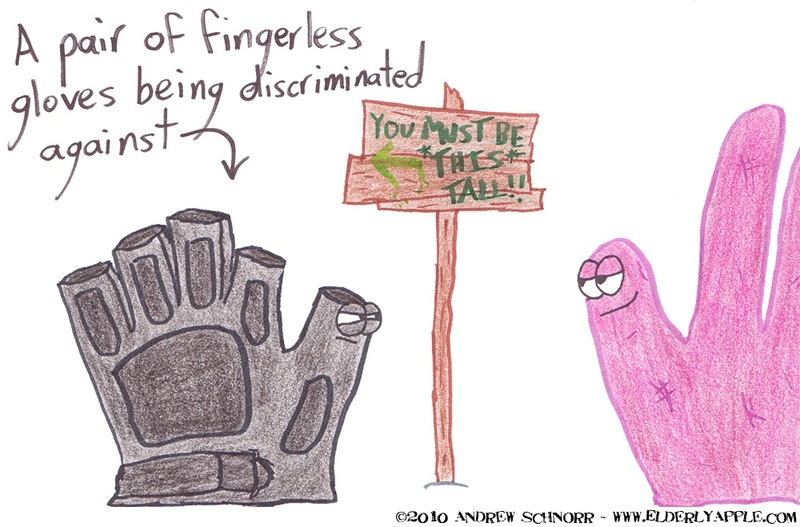 Aw, was Andrew discriminated against for his constant wearing of fingerless gloves? And yes, I agree, they do look cool. does that work? or should it be GLOVEIST!